This is a great creamy treat that is sure to get even the deepest sleepers out of bed. 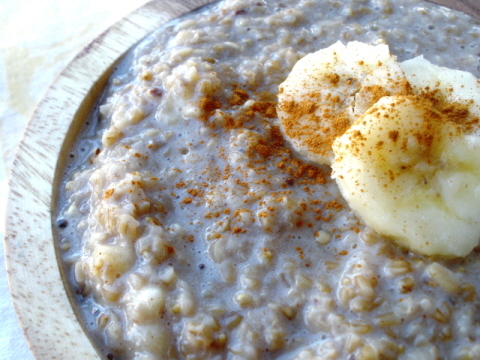 Steel cut oats have a different texture than rolled oats because they use the whole oat kernel. They may take a little longer to make, but they are well worth the time.